If there’s one place where you can gauge opinion in an area it’s at the local pub. The world is put to rights over a pint of ale or a glass of ginger beer (my own preference when fulfilling the role of designated driver) and local, national and international politics worm their way into conversation, alongside the footy results, moaning about the boss or idle gossip about Freda and Jack. The great thing about this atmosphere is that (most) people tend to follow the unofficial rules of the pub and take part in debate in an amicable (if occasionally heated) manner. However, if there’s one subject that continues to divide, it’s Brexit. It’s now more than 15 months since the referendum took place. When it comes to the negotiation there remains a good deal of uncertainty and your guess is as good as mine when it comes to a whole host of potential futures regarding policy frameworks and the economic impact these changes will have on the country. Some immediate term consequences have revealed themselves already, such as the fall in value of sterling. 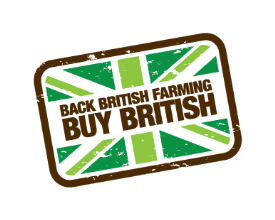 Many rural businesses that import product from Europe have been negatively hit by this. At the same time, British producers who export to Europe have felt rather more positive, especially red meat producers who have experienced a significant rise in sales volume this year, particularly to the continent. There are after all two sides to every story. We mustn’t forget that. For every person who experiences something positive there is someone who experiences loss. However, we tend to fixate on our own position. Brexit remains a favourite conversation in pubs, and when I sit at the bar in a pub outside my local area, which I often do when away for work, I’m still surprised how regularly I’m asked to take a side: Remainer or Brexiteer? Choose now or forever hold your peace. I am happy to reveal my hand and say that I voted to remain but accepted the decision of the majority a long time ago and that we need to move forward in a united way now and face the future together. However, what I take issue with is that my mention of voting to remain generates a label and a judgement, depending on the consensus of those in the pub. In more ‘remainer communities’ I will feel more accepted in other conversations, whereas in ‘Brexit’ pubs I’ll sense a frostier atmosphere. This one decision seems to mark how you are seen, and it’s not right. Most people probably don’t realise they are doing it, but it is felt nonetheless. It has dampened the perpetual warmth of the great British pub. Before 23rd June 2016 nobody would have cared, or even thought about this form of identity. Yet, now, for some people whether you voted Brexit or Remain seems to be as important as what part of the country you come from, your class, gender, or any other common marker of identity. Even in the pub, which I believe to be one of the more welcoming and warm aspects of British society, especially in rural areas, we seem to seek out difference, rather than similarity. As much as I hope we can move on together, the fissure in social atmosphere seems to have cut deep, and it will take a while for this to heal. True, writing about it in this post only prolongs the conversation about Brexiteer/Remainer division, but it needs to be discussed if we are to accept the need to move on. I breathe a sigh of relief when someone raises Brexit in the pub and it is met with groans. These pubs have successfully moved on, and returned to talking about the footy, the boss or Freda and Jack. I think it’s healthy, and indeed vital, that people talk about politics in the pub, but when it comes to Brexit let’s wait until we have something more concrete to discuss, rather than regurgitating the divisive labelling of who voted for what.